To call Chris Ware a genius seems obvious, banal, almost. So much praise has been heaped upon this famously unassuming comics artist that further superlatives seem unnecessary. His art is one of small moments, recording, for example, the sense of abjection and self-doubt one feels on being snubbed by a friend, discovering that you haven’t been invited to the cool party or realising that your parent has forgotten some long-promised treat. Monograph (Rizzoli, $60) includes nearly every notable Ware work to date, from his earliest Jimmy Corrigan strips and The Ragtime Ephemeralist through to Building Stories (a multi-layered Gesamtkunstwerk) and those endlessly innovative New Yorker covers. Do not make the mistake of calling him an illustrator. Though Ware responds to editorial themes such as ‘Spring’ or ‘Halloween’ with a striking, nuanced image, he views such covers as part of his self-determined body of work. Commercial illustration, on the other hand, is a form of ‘prostitution’. This weighty, sprawling, biographical monograph assembles original artwork alongside the printed results. There are Joseph Cornell-like constructions, tipped-in mini-comics and pictures of assembled paper toy cut-outs. 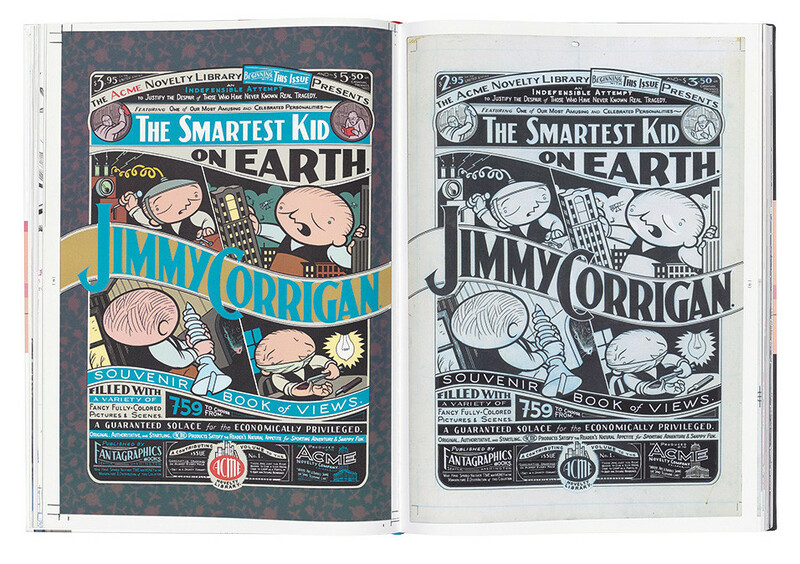 Ware’s entertainingly complex personality and deep humanity emerges from every spread, from self-deprecating asides to unexpected boasts: on a paperback cover for Jimmy Corrigan, a waspish panel points out that some of the prizes it garnered are more usually awarded to authors ‘who refuse to learn to draw’. Ware can certainly draw. He can tell stories. And he has created characters, such as Corrigan, Rusty Brown and the inhabitants of Building Stories who bear comparison with literature’s most memorable protagonists. For Ware (writing in The Ganzfeld no. 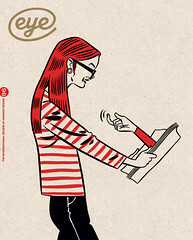 2), ‘Comics are a sort of piano roll or sheet music of the rhythm of life, flattened out on a page – played with one’s eyes.’ Monograph shows that Ware is the most musical chronicler of the human condition. 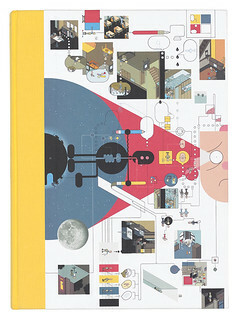 Cover and spread from Chris Ware’s Monograph.